Seed selection depending on your local climate is important when it comes to growing cannabis. Spain has three distinct climate zones. Here's our shortlist of selected strains to get you big buds north, south, east or west. 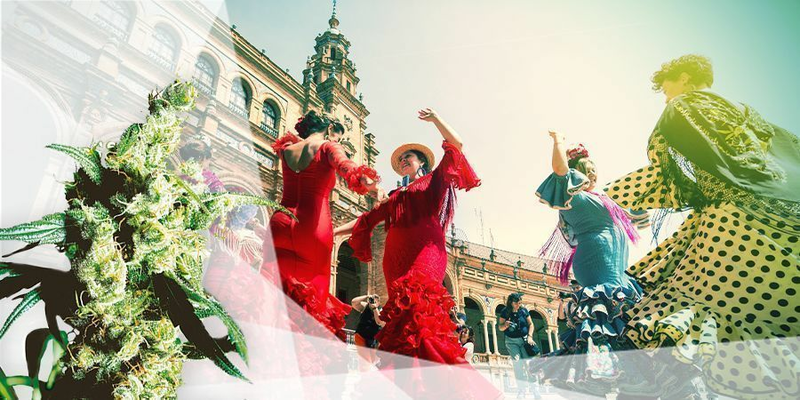 Spain straddles the Iberian peninsula and has three main climatic zones. Except for the borders with Portugal and France, it is surrounded by water. The Mediterranean in the east and the Atlantic in the north and north-west. The north of the country is pleasant and temperate and the far south shares Africa's heat. The central plateau can get very hot, but a few short hours drive away the mountainous elevations of the Sistema Central are much cooler. 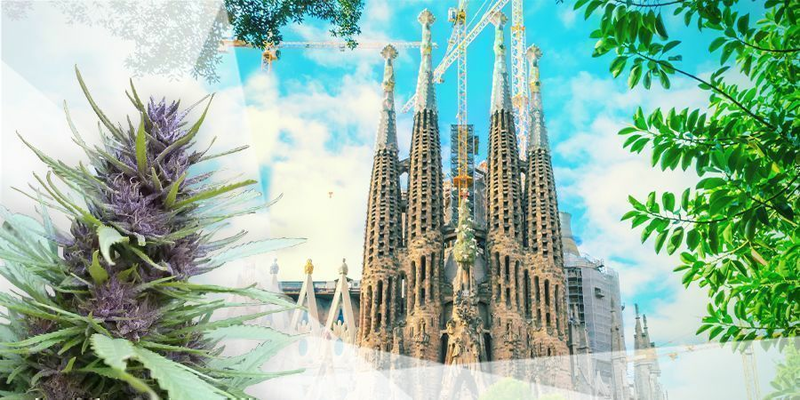 From the Straight of Gibraltar at 36°N to the rich Galician coast on the Bay of Biscay at 43°N, Spain offers the cannabis grower many opportunities to explore what cannabis genetics can offer. Good conditions mean seed choice is more comprehensive for the Spanish grower. Sativa dominant selections unavailable to the German outdoor growers are possible and will thrive especially in the south. 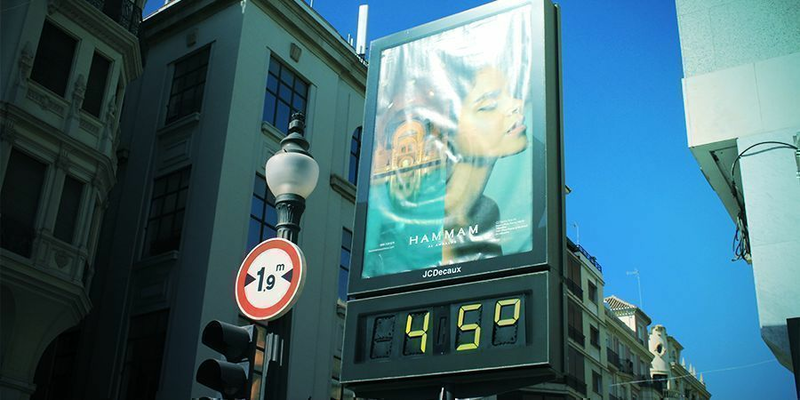 In the Basque country, the climate is maritime with mild summers and cool winters. The oceans influence means regular clouds and frequent, heavy rain. During Autumn powerful storms can sweep in from the Atlantic, antagonising maturing marijuana flowers. The influence of the Cantabrian Mountains is felt in winter as cold offshore gusts. Strains of marijuana that are resistant to mould and mature early are ideal for the Far North and mountains. Regular Freeze Cheese and Super Skunk are densely resinous, mould resistant, indica dominant strains that are also tolerant to cold weather. When time is a factor auto-flowering strains are never a bad choice. Within 75 days from seed, you could see some beautifully mature White Cheese or a swollen, almost purple Blueberry. Both regions have wet springs followed by long, warm, even hot, summer days. The massive central Meseta has more continental, hotter, drier summers and colder winters than the coast, but both regions are ideal cannabis growing areas. The coastal regions share a latitude similar to Humboldt County, another famed marijuana growing area. Sativa dominant hybrids like Sour Diesel and Lemon Thai Kush thrive in the summer heat of the central plains. Coastal dew as seasons cool are no problem for the hardy strains White Widow or Chemdawg, their resin encrusted flowers practically hydrophobic. This close to the tropics sativa dominant strains can boom. The south receives less rain that the rest of the country and in summer the Calima or heat haze can obscure the horizon. Around Murcia, the climate is almost African and marijuana can be germinated in mid to late April rather than waiting for May like in the north. Traditional sativa species can be grown that need long summer days and a longer autumn to mature properly. A Silver Haze, which is one step away from a pure Thai can become a substantial plant and growers will need to allow for a lot of room. Indicas respond well to the dry which mimics their mountain home and Bubba Kush will surprise you with how big an indica can really get. Island life can be a great marijuana growing life. The mainly maritime climate with cool wet winters and warm dry summers is what most people imagine when they think of the Mediterranean. Enjoying warm days and sea breezes without the drama of lashing storms like on the Atlantic side marijuana thrives on the islands. Hybrid vigour can be well exploited by Mediterranean growers. Consistent sea breezes strengthen cannabis plants and crisp bright summer days encourage rapid vegetation. A classic for a reason, the tough hybrid Skunk responds powerfully to island conditions. The quirky The Church is an uncomplicated grow and offers large palmate leaves to the summer sun and lusty crystallised buds to autumn's cool. Day length is what determines the success of early marijuana growth. Given plenty of daytime sun, cannabis will tolerate cold weather and seedlings will even push up through light snow. However, putting seedlings out too early can cause early flowering then regeneration when the days get longer. Marijuana does not recover well when this happens, end yields are low and flowers are poorly formed. If you are respecting nature's rhythms, you will be waiting until late April or early May to sprout your seeds in the north. In the warmer weather of the south, longer days sooner means sprouting earlier in April. Supplemental lighting is possible in any climate. 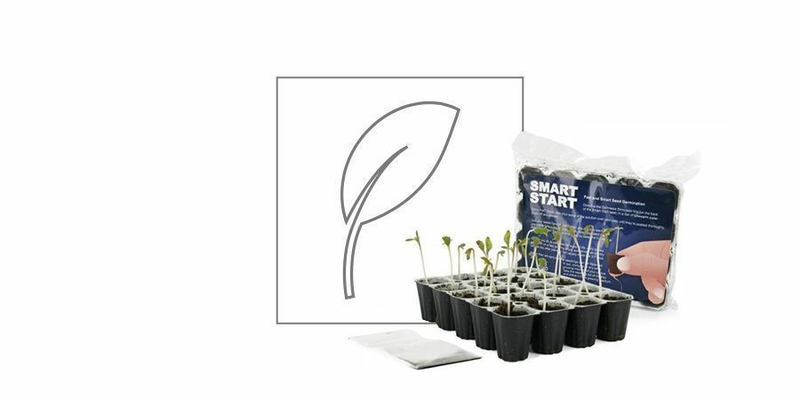 Start your plants at any time and keep on a vegetative light cycle of 18-6 hours. Harden off over two weeks before placing in their final spot. Be sure to have plenty of space. Putting a metre high plant into the ground at the start of spring can grow out of control very quickly. Good for yields, bad for stealth. 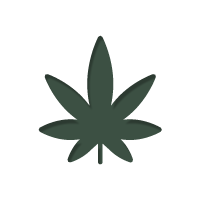 Cannabis is an exceptionally hardy plant and tolerates a wide variety of climates and weather conditions well. It has been acclimatising itself in many climatic nooks and crannies of the world for thousands of years. High mountain valleys with rarefied crisp air and humid tropical mountainsides. Modern hybrids have something for every global location. Where cold temperatures are a problem greenhouse growing is a productive solution. Many cannabis strains have been bred with the greenhouse grower in mind and thrive when treated well. Critical Kush and AK-47 produce indoor quality undisturbed surface resins on plants with sunlit vigour. There can be only one bad thing said about fat resinous cannabis flowers: they can be susceptible to moulds. Weather can be uncooperatively wet, humid or inclement for long periods of time. These conditions can subdue the natural pathogen resistance of marijuana and mould can occur. 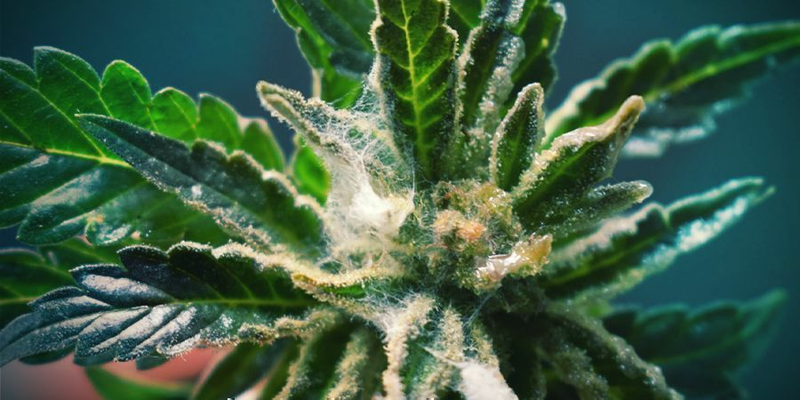 No one wants to have to deal with bud rot, but knowing the signs, and how to handle it can help save the vast majority of a plant. Moulds begin as microscopic spores which are everywhere, waiting for the ideal conditions to occur for them to flourish. Damp, warmth and shade or darkness. Dry climates usually don't have problems with mould, but humid climates, wet autumns and poorly ventilated grow rooms are prime targets. Vigilance is the key. If conditions have been conducive to mould check your plants regularly. If discovered excise the affected region immediately with sterilised scissors and burn the waste. Keep your plants free of dead leaves and dried material that can act as wicks for water. Dried and dead plant matter can also rot which generates heat, accelerating mould growth. Mould can first appear as tangled fine white hairs, black specks or a white dust on flower parts. Use a photographer's loupe or portable microscope to assess problem areas early. A UV light will show up mould infestation as white or yellow spots. There are no topical solutions at the late stage of discovery of mould on well-aged plants. Prevention is the best policy. Space and trim plants well so they are properly ventilated. 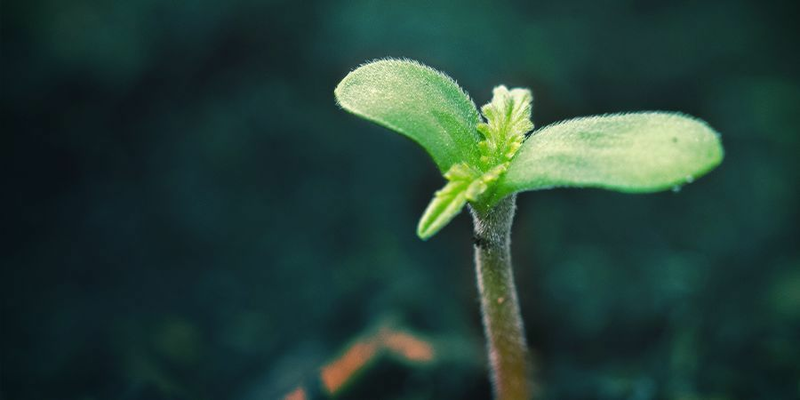 Organic treatment of plants earlier in the growth stage can bolster bud resistance to spores and other pathogens later. Any type of anti-fungal or anti-spore treatment at this late stage will foul your buds and make them unsmokable. Regular spraying with neem oil or teas made from alfalfa or chamomile can act as organic inoculations against mould earlier in the flowering process. 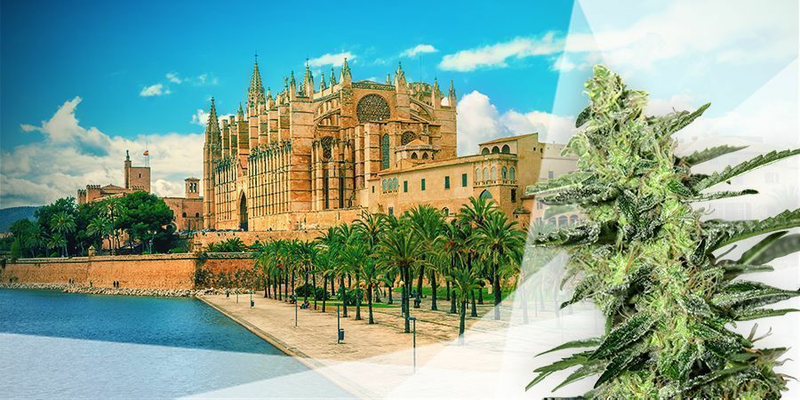 Cannabis growers in Spain will enjoy growing high-quality outdoor cannabis.